When Ann Roberts stumbled upon an antique bookstore, she never expected to find an old photo album belonging to a long forgotten relative. As she researches her genealogy and the people in the photos, Ann begins dreaming of one of the men in the pictures, Patrick O’Neil, in vivid detail – almost as if she were remembering, rather than dreaming. When a crazed ex-suitor viciously attacks Ann, she and her attacker are cast back in time to Victorian England, where Ann is mistaken for Patrick’s fiancée. Ann struggles to fit into a time she is unfamiliar with, she faces a manipulative and greedy stepfather, a step-brother with a terrible secret, and her dangerous stalker. Ann must find a way to convince Patrick of the truth, and decide if she wants to remain in the past to have a future. Traveling back in time to find everlasting love is a fairly well-used plot device in the romance genre. Several things stand out in Believe that makes it somewhat different from other time travel romance books, including the manner in which Ann travels back. Ann is transported back in time by mystical or magical interference, but the author never really explains who sent Ann back, or why. Although there is a mysterious woman who tells Ann to ‘believe,’ the author never explains why Ann was chosen, the mysterious woman’s connection to Ann, nor how she transported Ann back. This was a very loose thread for me as I wanted a more in-depth explanation. Although the author never addressed it, one facet of Believe I found most interesting was the paradox of Ann being her own ancestor. Ann was also able to travel back with belongings from her time that help her convince Patrick and others she was, in fact, from the future. However, the ease and quickness with which everyone believed her story seemed a little too improbable, even with the belongings as proof. The characters are fairly well developed, and each has a distinct personality that adds depth and emotion to the story. There were times the dialogue stumbled and took on an almost regency romance tone, but the story flowed smoothly and easily. The element of a sociopathic stalker added a level of mystery and suspense, as well as provided a catalyst to advance the romance between Ann and Patrick. 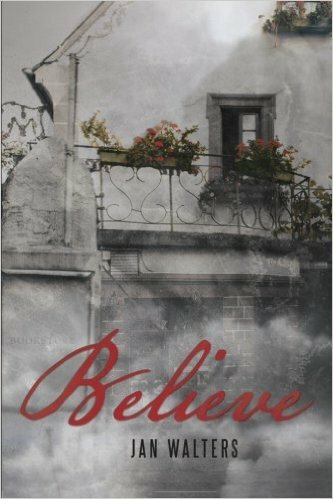 Believe is a good historical romance with a bit of fantasy and suspense thrown in, and will appeal mostly to traditionalists of the romance genre.